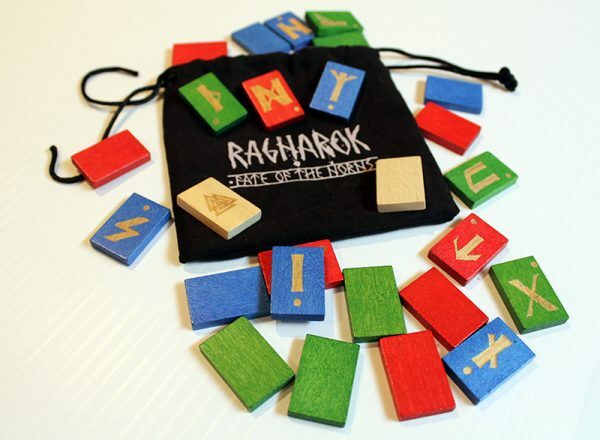 This beautifully designed Elder-Futhark set is etched into stained wood tiles. The set is colour coded for Fate of the Norns games and includes 24 symbols, 1 void rune and 1 valknutt rune. All runes come in a black drawstring pouch.